So Summer isn’t over yet! 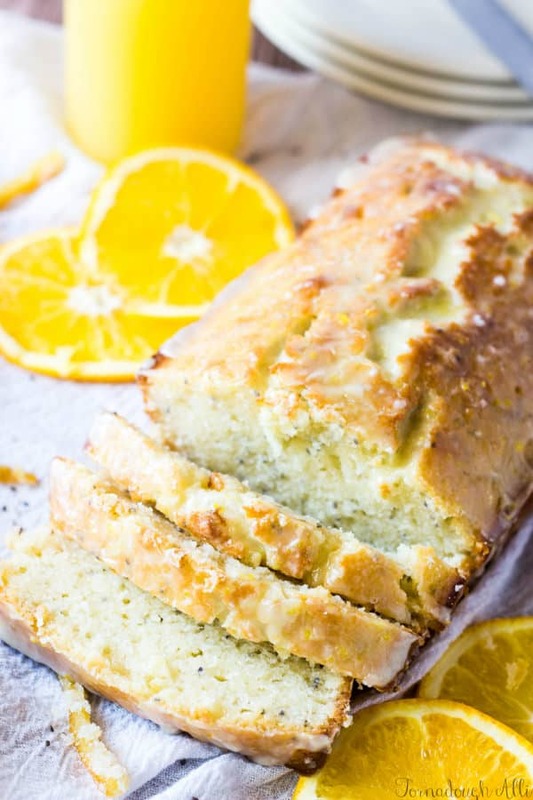 We absolutely have time to enjoy all of these delicious citrus flavors now! I’m not saying that you can’t enjoy them in the Fall or Winter (I know I sure do) but I figured I’d better roll this bad boy out before the air starts to get crisp and everyone is searching for those comforting Fall flavors. Now I love the flavor or orange. Hello creamsicle! Especially when they are in my baked goods. 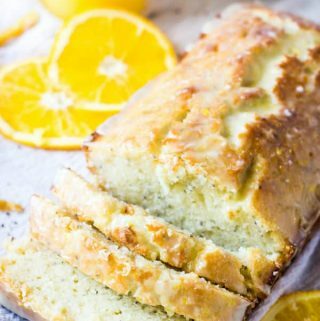 They just seem to work well in cakes, muffins, cupcakes and even this mouth-watering Candied Orange Chia Seed Bread! Now before you go thinking….candied oranges peels? Chia seeds? This sounds complicated. It really, really isn’t! And those ingredients are absolutely optional! 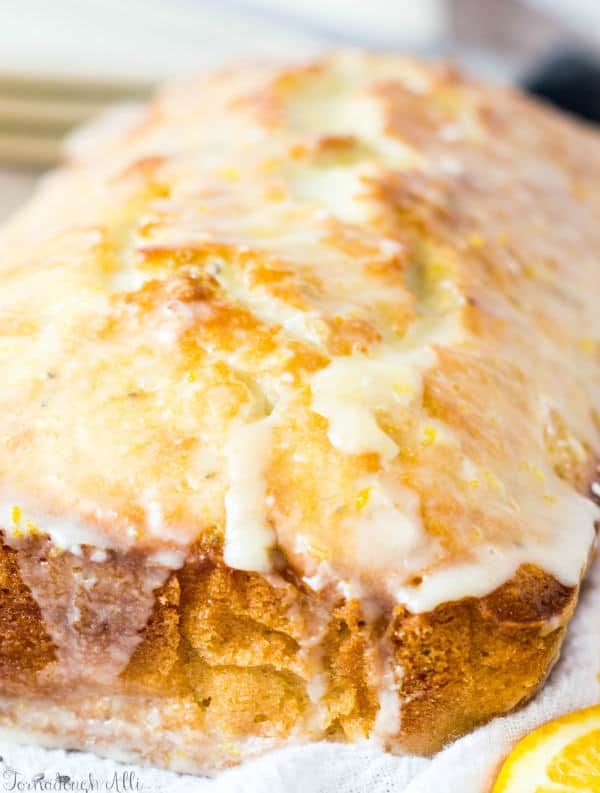 I just love the extra flavor boost that the candied oranges give this bread. And don’t even get met started on all the good benefits from chia seeds! You can find how to make candied orange peels here! 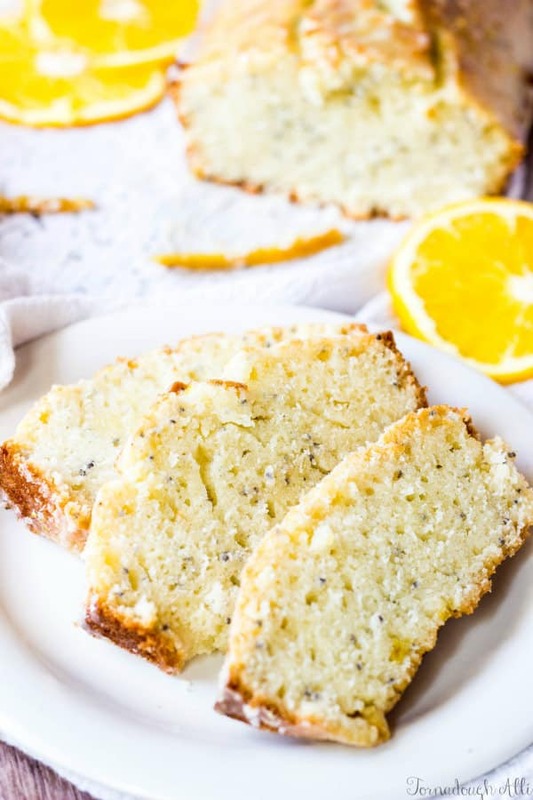 If you are a lover or lemon poppyseed bread, then you’ll adore this. I absolutely adore pretty much all sweet breads I can get my hand on. But orange hits a special sweet spot in my heart for sure! I don’t know about you, but when I was little my mom would always bring home from the grocery store those 7Up cakes and Orange Pop (yes we say pop here in MN) cakes? They were some of my most fond culinary memories from when I was a kid. Now that I’ve gotten older and branched out in my culinary skills, I decided that it was time to get away from those truly adored flavors of my past and make something more unique to my style. 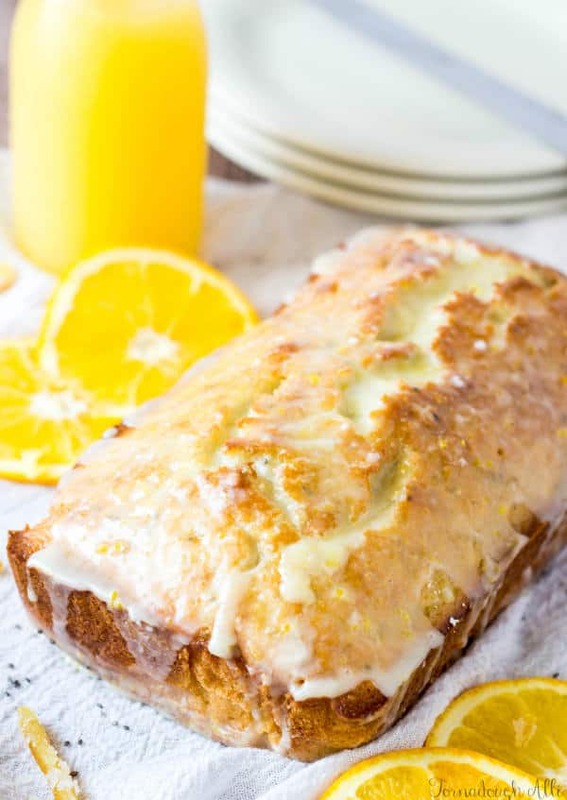 Welcome: Candied Orange Chia Seed Bread! The base of this bread it super easy and like I said you can leave out the candied orange peel and chia seeds. 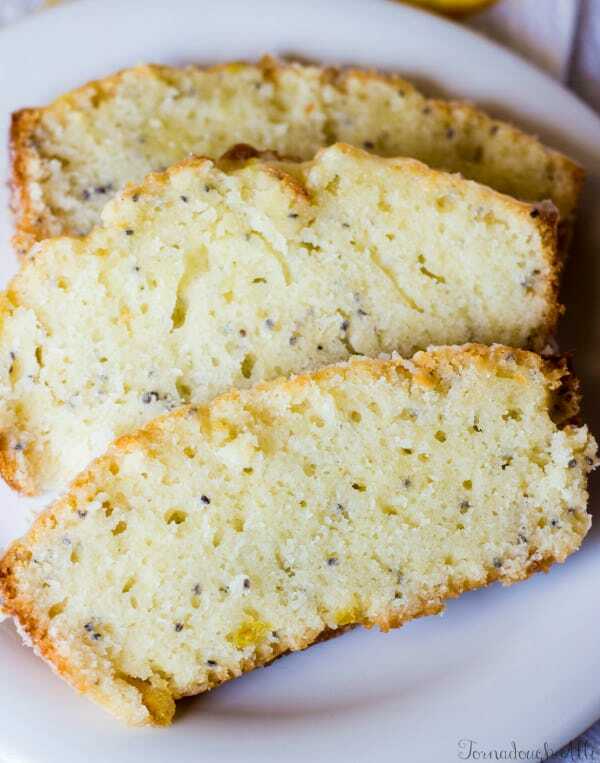 Swap them out with some poppyseeds and you’ve got yourself another version of this awesome bread. Spray a bread loaf pan with non-stick cooking spray, set aside. In large bowl whisk together your flour, salt, sugar and baking powder and set aside. In another bowl whisk together your milk, oil, eggs, orange juice, vanilla and orange zest. Slowly mix into your dry ingredients and stir until just combined. Fold in your candied orange peel and chia seeds. Pour batter into prepared pan and bake for about 1 hour or until golden and middle is set. Remove from oven and let sit for about 5 minutes then transfer to wire rack to cool more. While bread is cooling in small bowl mix together your glaze ingredients and pour over the top of your bread. My mouth is officially watering. Definitely will be giving this one a try at my house. Thank you so much Valerie, this was a winner, especially with the kids! !